1.The Adapter card don’t change speed and performanceq of hard drive. 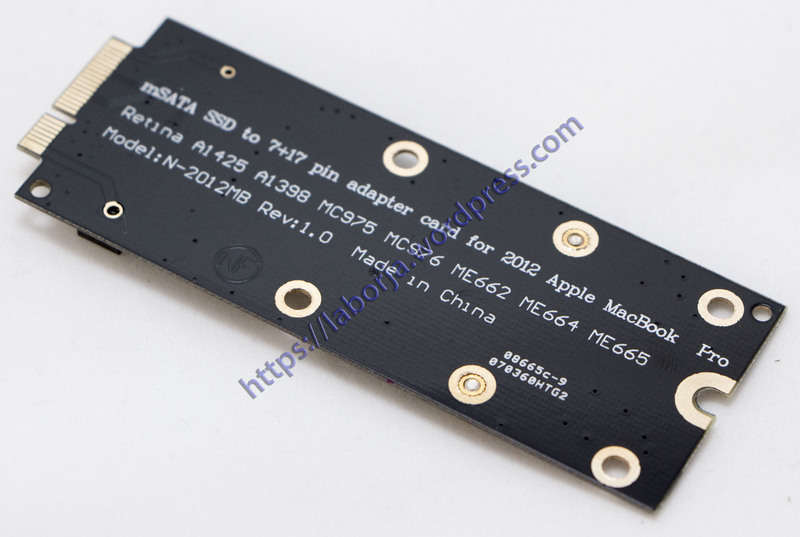 2.You can use mSATA SSD replace 2012 Apple Retina A1425 MD212 MD213 ME662 SSD. 1.If your machine model is A1398,you can’t buy it, likely machine back shell can’t close because it is too thick. 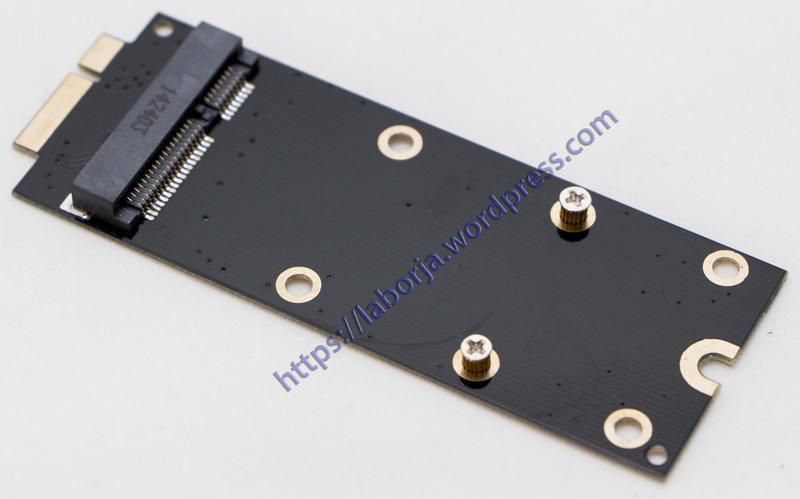 2.The product only support 3*5 cm sze or 3*7 cm size mSATA SSD,not suppored SATA Mini PCI-E SSD and PATA Mini PCI-E SSD. 3.The Fixed column has 5 cm and 7 cm two places,the default installation at 5 cm place. 4.This product performance is being improved unceasingly, like has the change, not separate informs even slightly. Pictures for reference only, subject to our available products. Six types of interface definition looks exactly the same, so please be sure to distinguish your solid state drive’s interface definition. C: Length is 7 cm.